Anyway, it got me thinking about travelling with scoliosis. 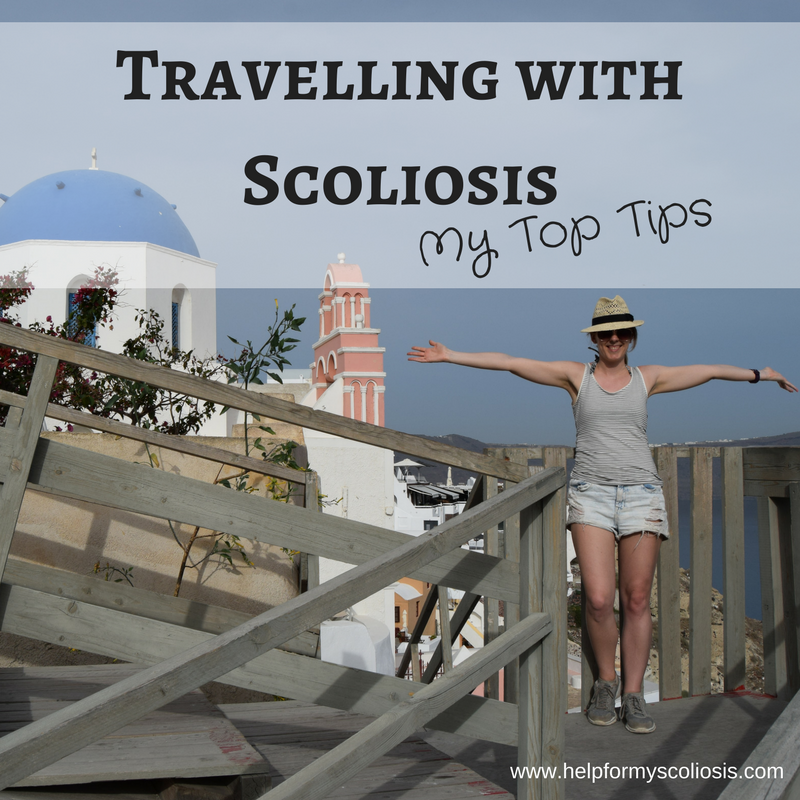 I LOVE to travel and I am lucky enough to have travelled to some amazing places since I had my scoliosis surgery. I don’t let my scoliosis stop me from going anywhere or doing anything. In fact, it makes me more determined to see as many places as possible. I have survived many long haul flights with my back since my surgery, including a 24 hour flight to Australia, flights to Thailand, Singapore, Dubai, USA and Mexico to name a few! 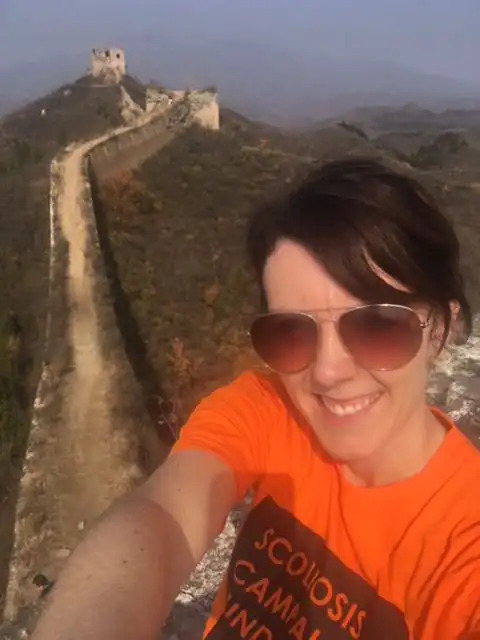 My first few trips after surgery were pretty difficult and VERY uncomfortable but over the years it’s got much easier as I’ve recovered and learnt how to cope with travelling with a spinal fusion. 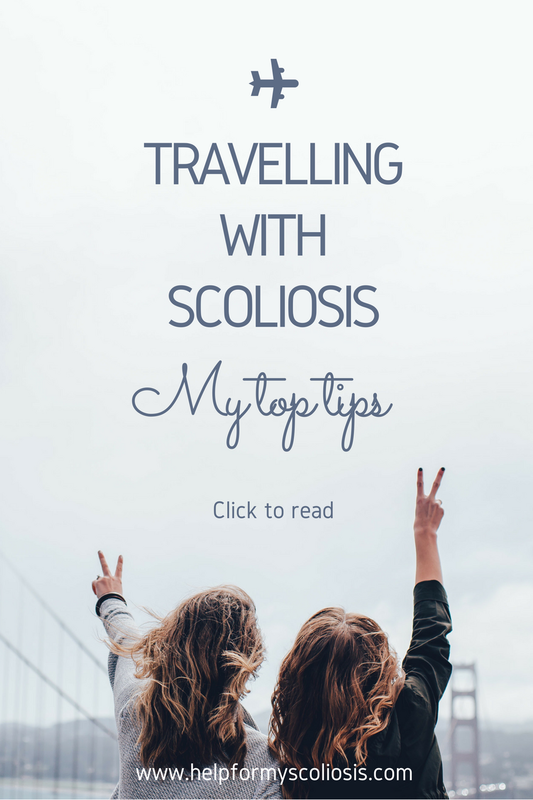 So, in light of my trip next week and in preparation for the holiday season, I thought I’d write a post on travelling with scoliosis and share some of my tips. After I had my scoliosis surgery, I invested in a travel memory foam cushion and it is honestly one of the BEST things I have ever bought. I take it with me on EVERY trip I go on and for me it’s a lifesaver. It is basically a square shaped memory foam cushion that I can put behind me when I’m on a plane for example. It rolls up too and comes with a travel bag so I can easily carry it around with me. I have used it everywhere when travelling – sun loungers, restaurant chairs, hotel rooms you name it. Since my scoliosis surgery, I find most chairs uncomfortable, but plane and airport seating are the worst. This is mainly because my back doesn’t bend to mould to the seats so I end up sitting bolt upright with a gap between the seat and my lower back. After a few hours on a plane or waiting around at an airport this can be very uncomfortable and painful. For me, having a decent cushion makes travelling that much more bearable. Don’t be afraid to take a cushion with you to public places if you feel uncomfortable – it can make a world of difference! I’ve learnt this the hard way over the years! Travelling often involves a lot of standing around, queuing, walking etc. This can take its toll on anyone’s back but when you have scoliosis, it can be extremely painful. I find having decent shoes really helps take the strain away. When I went to Australia a few years ago, I knew I would be doing a lot of walking and I knew this would be painful on my back. So I invested in some Sketchers memory foam trainers (like the ones below). I found these really comfy and I was able to walk round for hours with minimal back pain, the memory foam helped to take the pressure off my back. I really think these helped a lot and I wouldn’t have been able to walk around as much without them. I tend not to wear heels very much nowadays when travelling, especially if I know I’m walking or standing a lot – it’s just not worth the pain. This can be difficult, especially if you are travelling alone. I have a tendency to over pack but then I never need or use half of what I take and my case just ends up too heavy to carry. It’s important to pack light so that you can actually lift your case if you need to. For example, you often have to lift your case to put it through the security scanners or into the overhead compartments in the plane. If you can’t lift it, it’s too heavy! Invest in a light weight wheelie suitcase, these offer the least amount of strain on your back. I have a case like the one below and it’s a lifesaver because it’s so light and the 4 wheels means I can just wheel it around without feeling the weight of it. I avoid back packs in general and if I need a handbag, I find the type that cross over the front of my body to be the best for my back. Avoid one shoulder bags when travelling as these put strain on your back, especially if they are heavy. This is important for anyone and not just those of us with scoliosis. It’s important to get up and walk around when on a long journey. I try and get up several times to stretch my legs and back out. This helps with keeping the pain and stiffness at bay. I have been known to do my stretches in the toilets of the plane if I can! If I know I have a long flight I make sure I take my painkillers before I get on the plane so they have time to kick in. When travelling abroad, if you have strong prescription painkillers, it is best to keep a copy of your prescription with you for when you go through security. Also, it’s best to check if your painkillers are allowed in the country you are travelling to. For example, some strong prescription painkillers are banned in Dubai (e.g. tramadol). If this is the case, you will need to take a copy of your prescription and to be safe, a letter from your Doctor. Heat can also help. On a long flight to Las Vegas, I bought some Nurofen Heat Patches from the airport pharmacy and this relieved the pressure on my back during the flight. Heat Patches like the ones below can be great for long haul flights or long car/train journeys as they provide relief for hours. However, as many contain gel, if you are planning on using one of these on the plane, it’s probably best to buy them at the airport (once you’ve gone through security). 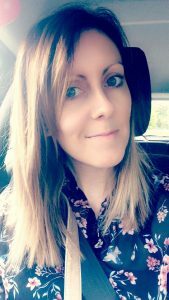 10 tips for Scoliosis Pain Relief Running with Scoliosis: My Top Tips Weekend Away Memory Foam = Bliss!! Keeping your prescription with you is excellent advice to ensure you can travel safely. Scoliosis treatment from a professional would probably help you find ways to deal with it. You’d probably want to get regular scoliosis treatments and checkups to keep track of any changes or improvements so that you can get any help you need. Long fights are the worst. You are basically stuck there and can’t do anything to change your current situation.